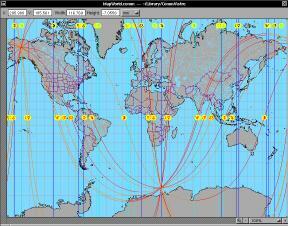 Cenon can create Astrological Geographic Maps. 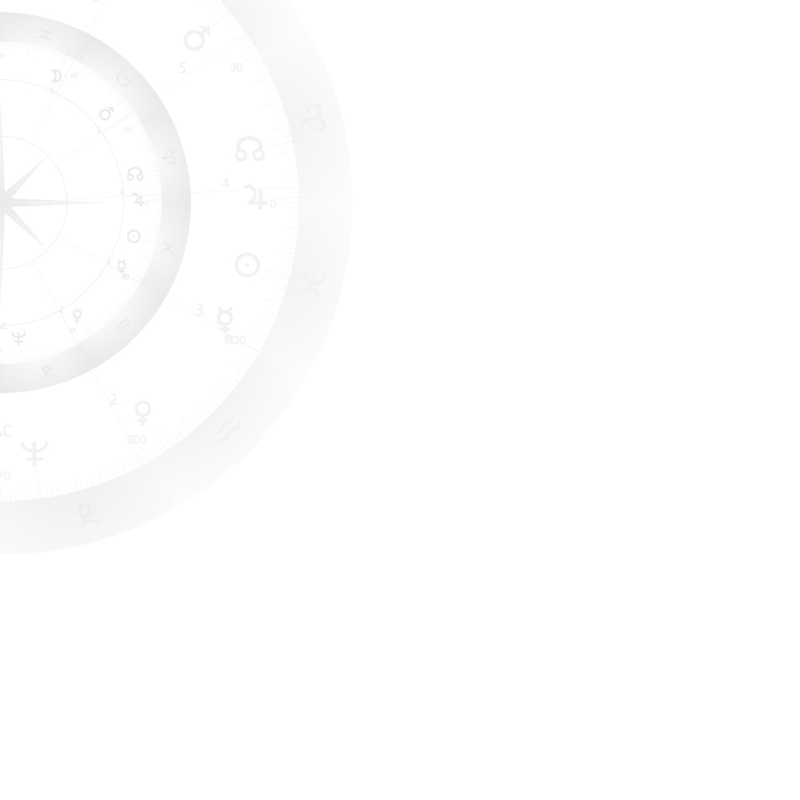 When using this feature, you are not limited to a standard set of maps, instead you can prepare any available map you want for use as Astrological Map. 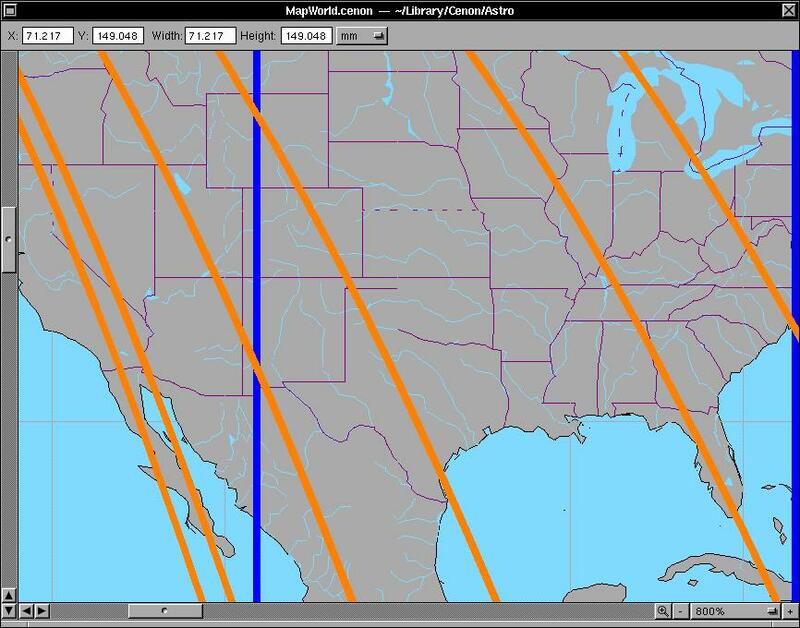 The default map of Cenon are vector maps based on the free CIA maps, which are probably used in most Astrology applications. A mouse click on a map displays a corresponding chart at the location of the click. A click on the image displays a zoomed view of the map. 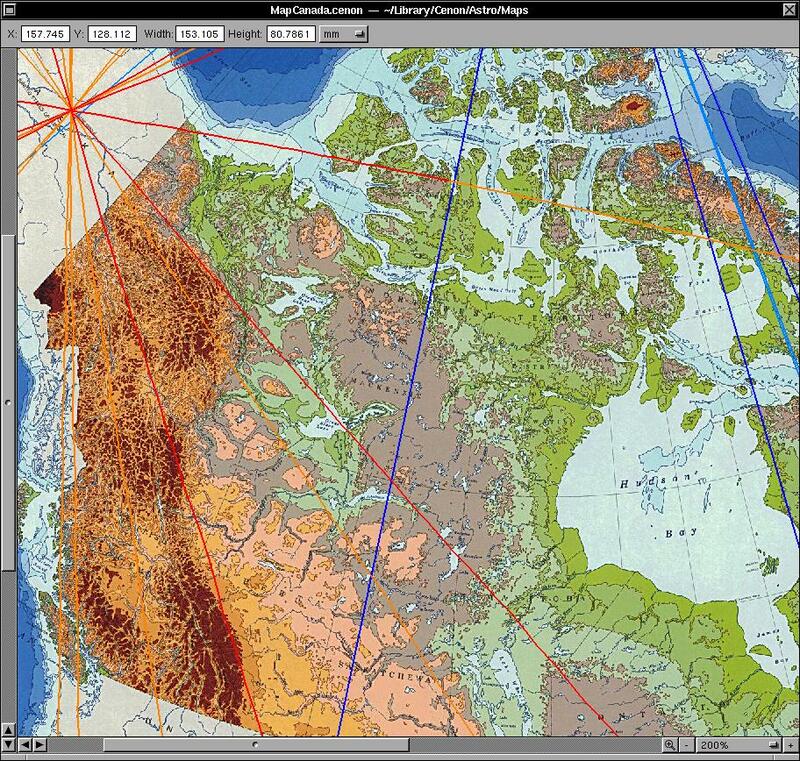 Besides the vector maps, Cenon allows the user to use any available map. 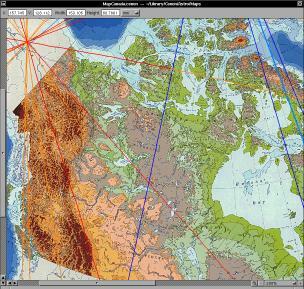 The example shows a topographic map of Canada, which can be found for download on the net. A click on the image displays a full size view of the map. The Fractal Edition of Cenon Astro offers a bonus mask for maps with a stereographic (Azimut) projection of the northern hemisphere.